Tell me, how will anyone claim to have online business without having a website? And at this time of age, how will someone not consider having an online presence by getting his or her own website? It is no longer news that Internet has provided our world with a huge level of opportunities. Everybody and everything have now found their ways to the internet. From entertainment, to fashion, to business, to politics the list is unending. Some individuals that don’t even have startup capital but only found their ways to be on internet simply manage to start online by blogging and today some of them are super online stars raking millions in cash monthly and doing far better than those that have the “big cash” to start offline business. Internet is a leveller and it comes with great leverage. My point is that, you can’t be left out. You need to make your presence felt online by having your own website. Your website is like your own real estate on the internet. That is where people can find you, see what you are doing, buy product from you or patronize your services. It is like your home online. Though, you may be on social media but you don’t own the platform. One stupid policy from the social media ‘s company may collapse your entire business. Social media must enhance your own website by using it as an opportunity to drive visitor to your site. If you have a fantastic idea you want people to know, the best way is to blog regularly about it on your site and before you know it, you will become authority in that aspect. You probably may not need someone to convince you about how importance it is to get a website, especially if you have been online for a while and know how helpful it can be for your personal branding, special project promotion or business. You might have tried to get one in the past but couldn’t afford the amount of money it will take a webmaster to develop it for you. I had the same experience too when I started online. I wanted to have my own site, the amount the guy that supposed to help me was calling was way beyond me then. He was my colleague in school and I just figured it out that if he could do it, why couldn’t I? That was why I decided to learn about how to design a website simply because I didn’t have the money but I still needed to have my own website. Possibly, you even tried to learn how to design website by yourself because you can’t pay the fee but you got frustrated along the way because the whole thing is just damn too technical. The truth is, if you don’t have natural flair for working on technical stuff and handling coding, you won’t just love the idea of designing website by yourself especially when people like us started some several years back. But website design and development has taken a new shape in our present age. When I was learning website design as far back in 2000/2001, I couldn’t remember any shortcut to design a website then. You simply need to learn how to write HTML. I don’t think Content Management System (CMS) like WordPress has been simplified and developed like we have it now. The equation then was simple, if you can’t write HTML, outsource the work, if you can’t outsource it, forget about having a website. You must “dirty” your fingers with some coding and scripting by learning what is known as tags and syntax. That was then, but now with WordPress, you don’t need to have any idea of HTML or code before you design your own stunning and attractive website or blog without learning any highly technical programming skill. I really wished WordPress had developed to this level when I started internet marketing but it was not. It was “hard work” creating website in those days. 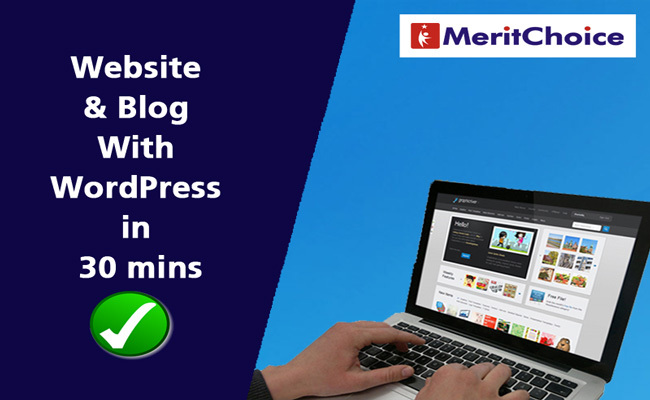 But with WordPress, you can design a blog even in less than 30 minutes. What you need to know is to understand some few setting which you will do from the control panel of your website and believe me honestly, apart from getting your domain and hosting space, your blog can even be up in 10 minutes. The remaining time you will be spending will be to set other functionalities through plugins and configuring your site or blog the way it pleases you. You might have paid N50k, N100k, N150k, depending on who is helping you. I am sorry, if you have paid so much before, but what you simply paid for was ignorance. Now, you need to get yourself out of the hook and start creating your own website and blog. In fact, you can decide to create 10 websites in a week, it won’t be anything to you if you understand few things you need to setup from a place on your website called Control Panel. How to get domain name and hosting space for your site. At the end of the training, you would have created your first ever site and blog and start using it from the class, if you desire to. Do you know that the knowledge you are going to acquire on how to design your own website using WordPress is not just to make you feel cool that you now know how to design a website or a blog? You can actually turn it to cash magnetic skill by designing websites for other people using the same WordPress knowledge while charging them 50k, 100k, 150k and even higher as you want. 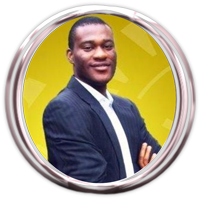 We will also tell you how you can help others design their blog and handsomely get rewarded for the work. Kindly REGISTER NOW with the form at the right hand side here even if you are not paying immediately. This will help us to give you further information about the workshop. This is your opportunity to make maximum impact online. Don’t miss this, make sure you are part of the training. Fill the form RIGHT NOW and be part of it!